Mix coffee powder,sugar and with hot water. Boil for 2 - 3 minutes. In a mixer, add 2 tsp of this coffee mixture, milk and ice cubes. Blend until creamy. 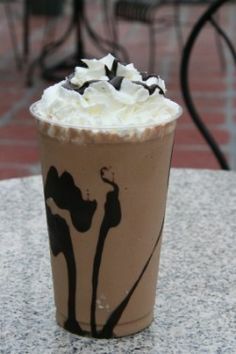 Take a glass, drizzle with chocolate syrup. Pour the cold coffee in the glass with a scoop of ice of your choice on the top.